One approach for estimating ecosystem respiration are chambers, either (i) enclosing the entire ecosystem (e.g. 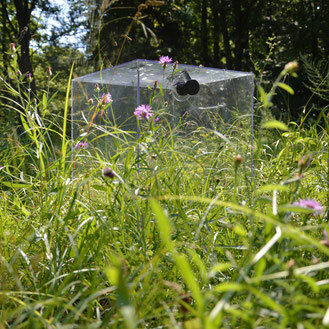 a mesocosm, smaller plant communities such as grasslands) and directly yielding net ecosystem CO2 exchange (NEE, net ecosystem respiration) or (ii) chambers which enclose only some ecosystem component (e.g. leaves, soil, etc.) and thus require some additional up-scaling. Both approaches work best under controlled environmental conditions — modifications of the temperature and humidity should be minimised and at least recorded. 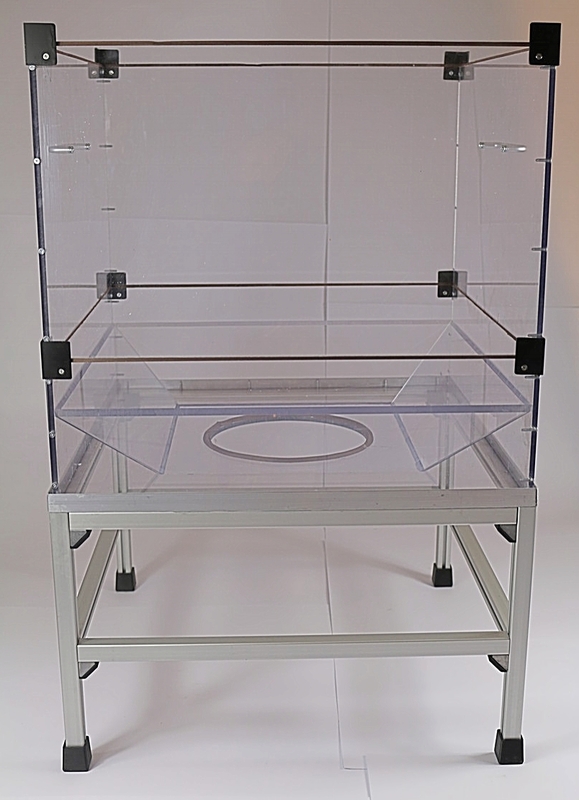 Vienna Scientific Instruments offers custom-made ecosystem respiration chambers for field and laboratory use, constructed in various sizes out of transparent polycarbonate (high PAR transmission) usually used for greenhouses. 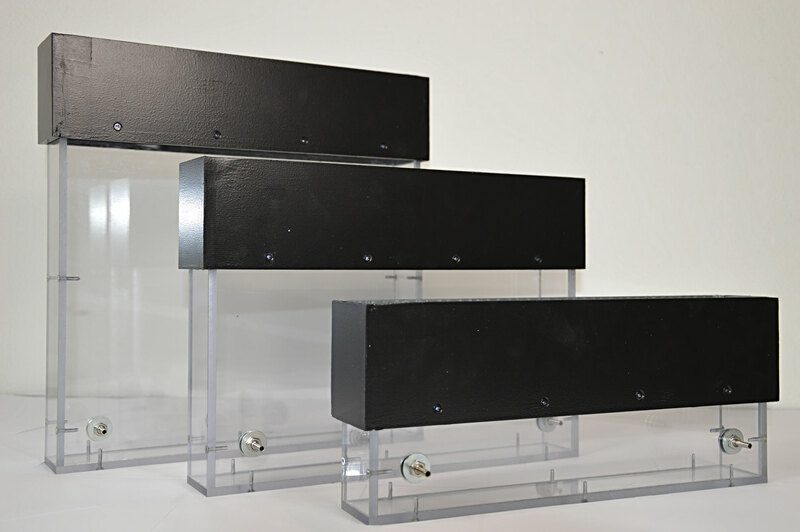 If required, a modular design allows to increase the chamber size as plant grow. Seals around each collar, and the hole in the bottom plate (if mesocosm are used), ensure sufficient gas tightness. 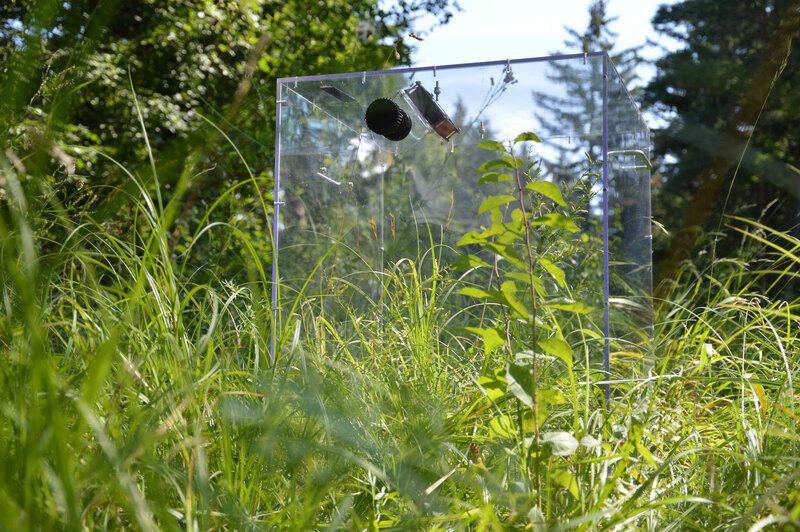 For field use, a metal frame can be installed under chambers to ensure gas tightness towards the soil. 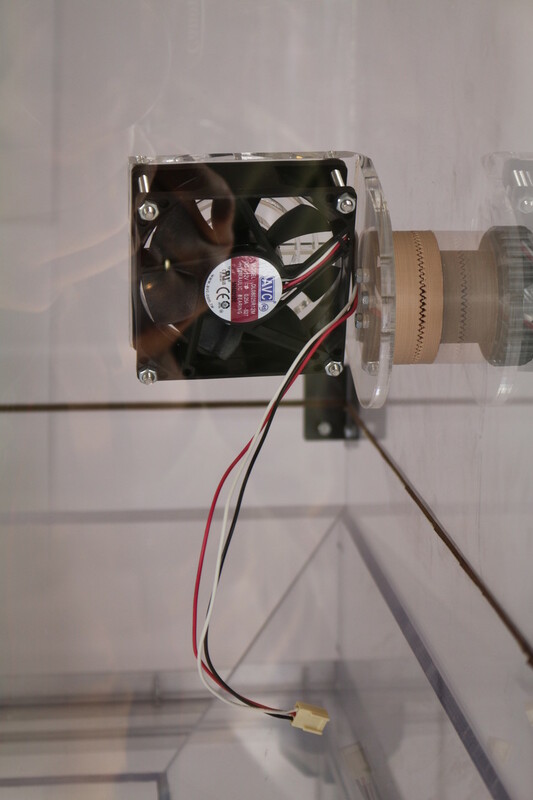 Chamber air is stirred by one or multiple adjustable (direction and speed) fans to homogenize the air. 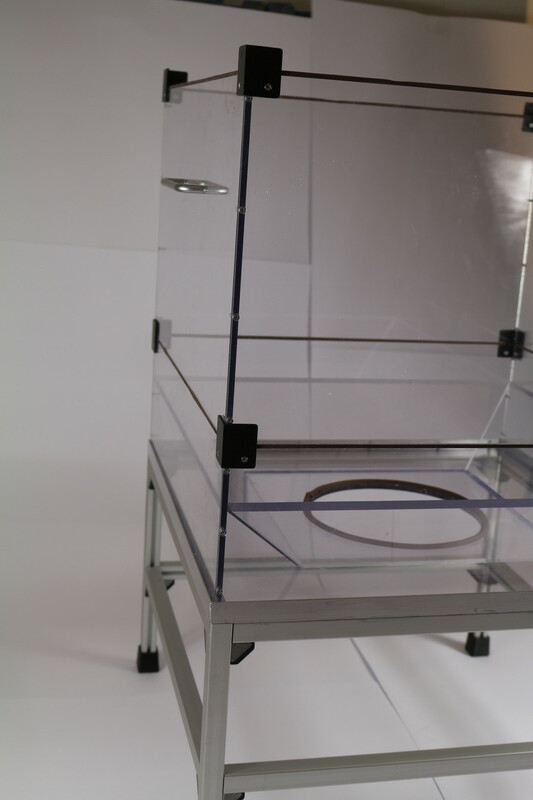 Ventilator size, speed and angle can be adjusted to avoid hampering plants or the IRGA measurements. Several tube fittings/connector plates for common IRGA systems are available. 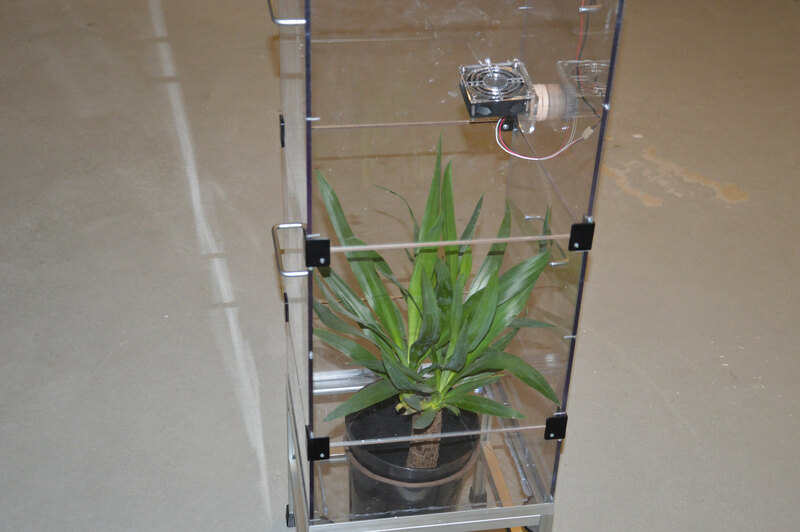 An environmental monitoring system, consisting of temperature (air/leaf), rH and eventually PAR sensors inside/outside can be developed upon request. 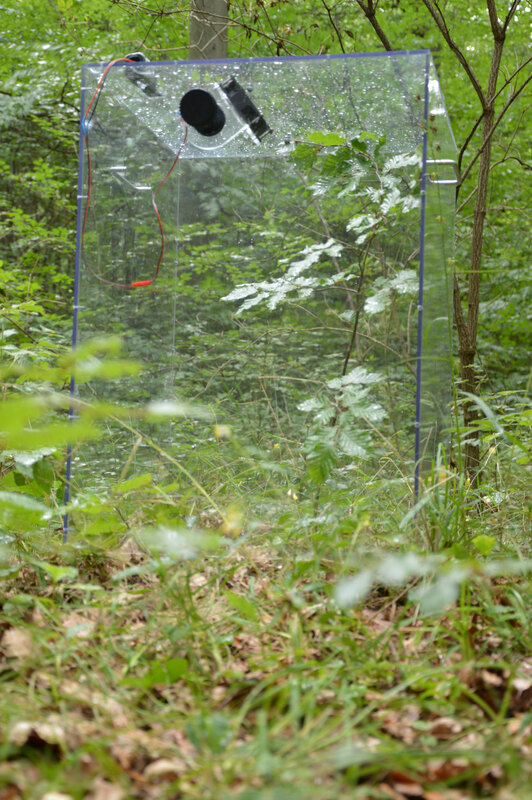 The pictured chamber (50 cm x 50 cm x 30-80 cm, w x d x h) is a version build for the University of Vienna to approximate NEE of different ecosystems during a graduate student course. 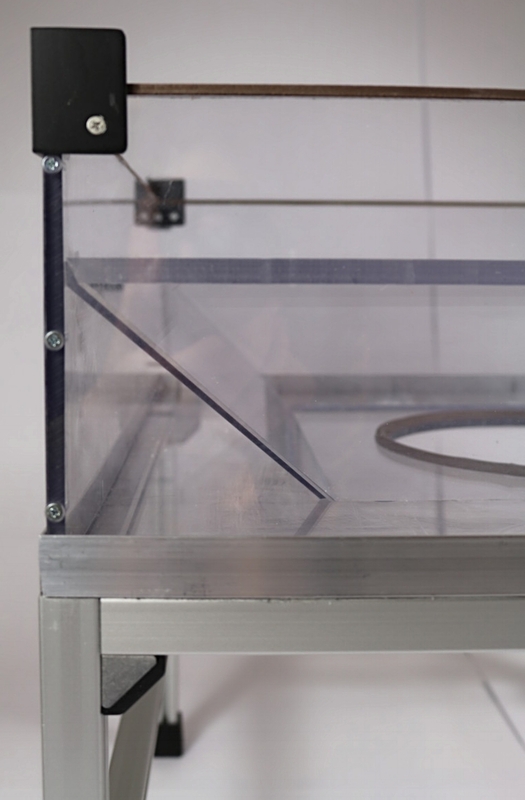 Other versions are featuring an aluminum scaffold for convenient and self-sealing placement of mesocosms (see pictures below). Davidson, E., K. Savage, L. Verchot, and R. Navarro. 2002. 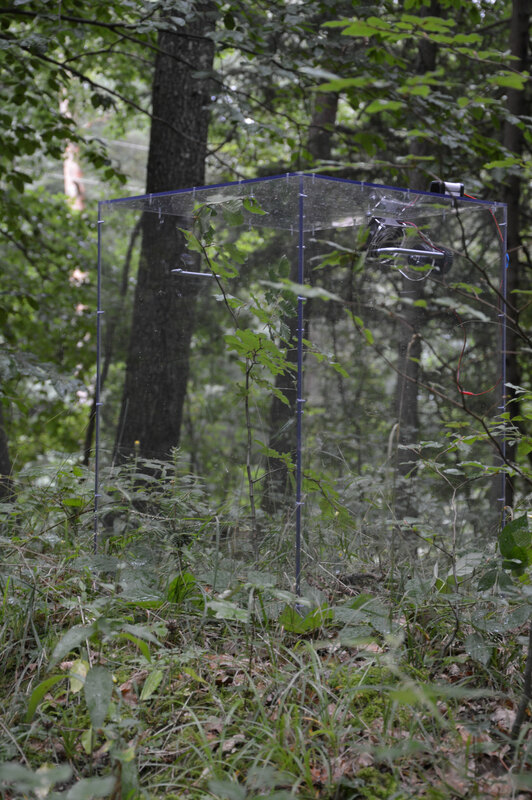 Minimizing artifacts and biases in chamber-based measurements of soil respiration. Agricultural and Forest Meteorology 113:21-37. Grogan, P., A. Michelsen, P. Ambus, and S. Jonasson. 2004. Freeze–thaw regime effects on carbon and nitrogen dynamics in sub-arctic heath tundra mesocosms. Soil Biology and Biochemistry 36:641-654. Risch, A. C., and D. A. Frank. 2010. Diurnal and Seasonal Patterns in Ecosystem CO2 Fluxes and Their Controls in a Temperate Grassland. Rangeland Ecology & Management 63:62-71. Wohlfahrt, G., C. Anfang, M. Bahn, A. Haslwanter, C. Newesely, M. Schmitt, M. Drösler, J. Pfadenhauer, and A. Cernusca. 2005. 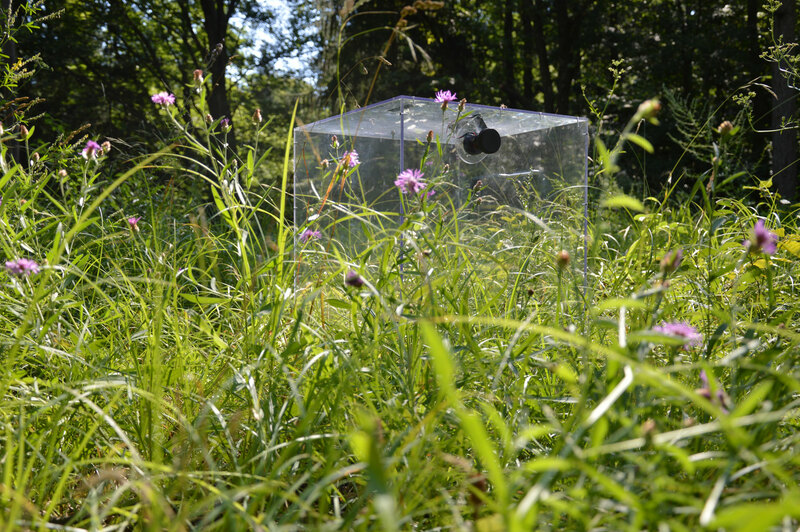 Quantifying nighttime ecosystem respiration of a meadow using eddy covariance, chambers and modelling. Agricultural and Forest Meteorology 128:141-162.